She turned down the offer citing other commitments and 8 ongoing cases. If by occupied she means occupied by Hamas and crimes committed by Hamas, I commend her. However, since I know better, and since this committee was set up to investigate Israel, I’ll say this. If Alamuddin is your lawyer, representing you in one of those 8 ongoing cases, good luck. Knowing the facts and speaking the truth publicly don’t seem to matter to her, and as a client that would concern me. To call it the “occupied Gaza Strip” should pretty much close the case in favor of Israel, since these alleged crimes are based on activities allegedly committed by a non-occupying force. Since this is more of a witch hunt than an investigation I am sure the facts will not matter, but if Alamuddin was my lawyer, I’d be nervous. One other point I want to make. If you plan on criticizing me for attacking Alamuddin’s credibility as a lawyer, that’s fine, I can take it. But never expect me to feel bad about it when she is making statements that are incorrect and accusatory regarding the State of Israel. And George Clooney doesn’t scare me. He’s not Batman. 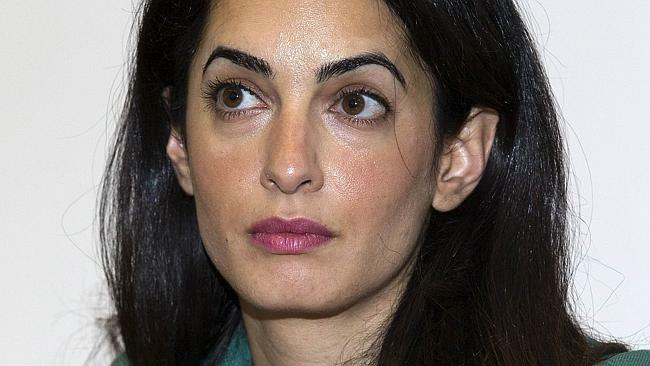 This entry was posted on Tuesday, August 12th, 2014 at 5:36 pm	and tagged with Amal Alamuddin, Batman, British, Gaza, Gaza Strip, Gaza-probe, George Clooney, Hamas, Israel, Lebanese, UN and posted in Uncategorized. You can follow any responses to this entry through the RSS 2.0 feed. I’ve been running into this sort of dialog up on a daily basis with Jews and Non-Jews. I’m even finding homosexual friends who are blatantly Pro -Palestinian and Pro- Hamas by default. Im baffled how these folks can be so mislead or maybe even guilted into supporting a group that would like nothing more than to silence them…taking away the very freedom that gives them the right to make that choice…I just don’t get it.